So I figured you can’t start changing the world until you start changing your own. Today, along with the numerous other changes i’m making in my life including most notably starting this blog, I decided to get healthier! This sounds great and probably like you did 11:55 on December 31st when you told your friends your going to work out, eat healthier, and just get in shape. Well that’s me right now, but I’m planning on doing this differently I’m enlisting your help. How? by being my cheering section, the section willing to give advice and to try and convince me to not eat that quart of ice cream in my freezer or to skip a workout day. 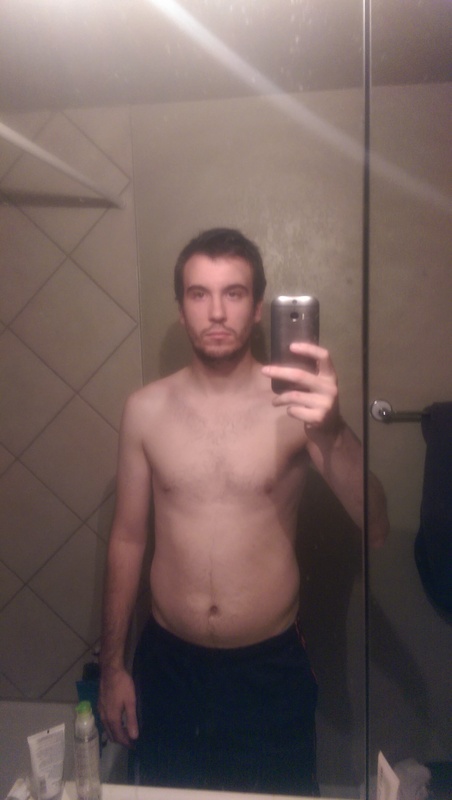 Now to the basics, currently I am 6’2″ (hopefully that doesn’t change) and 171 pounds. That doesn’t sound overweight nor is it technically but i know I can do better. So I will be updating my progress here to try and push myself. Here is the hard part, have you recently tried searching on the internet on how to get healthier? Oh MY GOODNESS!!!! Seriously how is anyone able to sift through the sand that is the internet and healthy living. Any 15 experts can point you in a different direction, it is absolutely crazy. You will find 100’s of different blogs on how to be healthy, and 1000’s of articles (literally no joke) on the subject. So after all of the time wasting i did online I came to one conclusion! Stop eating all that damn candy, I mean I eat a lot… candy is delicious. Do Lifting before my cardio 3 times one week and 4 the next. An update! I’m down to 167 following my plan! I left off the trail for awhile but am back on the wagon. Doing great! I want to get healthier with you brother! However, my cripplyness is crippling. BUT, I’ll have you know that you making changes makes me happy. Thus, you are changing more than yourself, your changing my facial structure into more smiles. Your doing good work! Drink LOTS of water. Eat organic dark leafy greens and lots of various kinds. Kale, Spinach, Chard, Bok Choi, Brocolli. Try to consume less salt and no more candy. Candy is the hard part, but I do loveeee spinach. Thanks for the encouragement! I know you are in a difficult place right now, also know that I hold you as a personal hero someone who chases their dreams. Someone more people could ideal. I am also in the mood of life changing! I am 46 days smoke free after smoking for 11 years. I feel amazing about that and know in my heart I won’t ever take that dirty habit up again. (Although some times I do say I’m going to take up chewing tobacco and drinking whiskey from the bottle, I will sit on my porch and yell at children, it is all part of my plan to be gross granny E.) But really I am very excited to be actively seeking a healthier me. Which is why I will be practicing organic October. I plan to eat 85% raw, no dairy, no meat, no beer. No sad face. I will not think about the things I’m giving up the the things that I will gain. And also I have given myself 3 cheat days durning the month because I had plans to drink and eat junk before I decided todo this. Thank you Seth for doing/starting this. I’m so happy that you can finally be free of smoking. Its been a cancer (pun intended). Wash yourself clean and I know you will succeed in your dreams.